Hole saws made of bi-metal with hardened cobalt teeth. 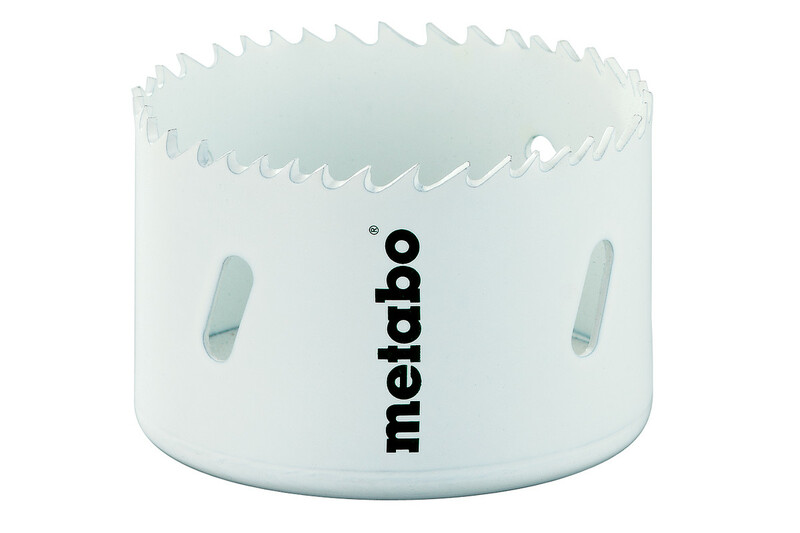 Quicker chip removal through a new kind of teeth with irregular tooth shape and division; giving much quicker cuts with less vibration. The larger teeth gaps and the inclination ensure effective chip removal. For use in cast steel and grey cast iron, stainless steel, constructional steel, aluminium, bronze, copper, PVC, acrylic glass, wood. Use hole saws only with the corresponding arbor and pilot drill.